M.F.A. University of Montana, Missoula, Montana, 1973. B.A. Humboldt State University, Arcata, California, 1971. Professor, University of Puget Sound, Tacoma, Washington, 1976 to present. Faculty Exchange, Fall 1983, University of New Mexico, Albuquerque. Assistant Professor, Vincennes University, Indiana, 1974-76. Instructor, Oakland City College, Oakland City, Indiana, 1973-74. Award, LaGrange National XXI, La Grange, Georgia, 2000. John Lance Sabbatical Enhancement Award for research in Paris, France, University of Puget Sound, Tacoma, Washington, 2000/2001. Purchase Award, Clayfest XI, University of Indianapolis, Indianapolis, Indiana, April, 1999. Martin Nelson Award for Summer Research, University of Puget Sound, Tacoma, Washington, 1999. Named Distinguished Professor, 1998, University of Puget Sound, Tacoma, Washington. Award, LaGrange National Biennial XIX, Lamar Dodd Art Center, LaGrange, Georgia, April 1996, National Juried Show. Faculty Enrichment Award, University of Puget Sound, 1999, 1998, 1996, 1994, 1993, 1992, 1991, 1990, 1988, 1986, 1980, 1977, Tacoma, Washington. 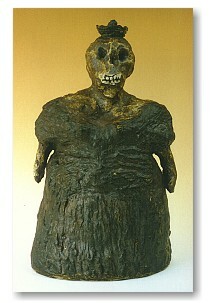 First Place Award, Sculpture Category, 5th Annual Figurative Small Works, Armory Art Center, West Palm Beach, Florida, 1996, National Juried Exhibition. Dirk Andrew Phibbs Memorial Award, 12th Recipient, 1994-1995, established by Phil and Gwen Phibbs in memory of their son to support research and travel at the University of Puget Sound, Tacoma, Washington. Awarded The Suzanne and George Ramie Prize, Biennale Internationale De Ceramique D'Art, Vallauris, France, 1994. Award, Face to Face!, Tempe Arts Center, Satellite Gallery, Tempe, Arizona, 1992, National Juried Show. Award, Materials: Hard & Soft Exhibition, Center for the Visual Arts, Denton, Texas, National Juried Show, 1991. 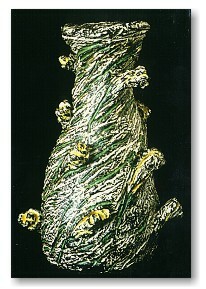 Award, National Juried Craft Exhibition '91, Mari Galleries of Westchester Ltd., Mamaroneck, New York, 1991. Award, Feats of Clay IV, Lincoln Arts/Gladding, McBean & Co., Lincoln, California, National Juried Show, 1991. Award, LaGrange National XVI, Lamar Dodd Art Center, LaGrange College, LaGrange, Georgia, National Juried Show, 1991. Award, Third Annual Monarch Tile National Ceramic Competition, San Angelo Museum of Fine Arts, San Angelo, Texas, 1988. Award, Surface Intrigue, Galeria Mesa, National All Media Juried Show, Mesa, Arizona, 1988. Award, Carnegie Art Center, Walla Walla, Washington, Annual Juried Art Show, 1987. Award, Ceramics, 8th Annual Desert West Juried Art Show, Lancaster, California, 1986. Craftsman Fellowship, National Endowment for the Arts, 1979. Award, Sculpture Category, Art On The Green, North Idaho College Campus, 1978. Award, Indiana Ceramic Exhibition, DePauw University, Greencastle, Indiana, 1976. Award, C.M. Russell Museum, Crafts and Craftsmen Show, Great Falls, Montana, 1973. University of Puget Sound, Tacoma, Washington, 2001, 1995, 1990, 1984. Indiana State University at New Albany, New Albany, Indiana, 1999. Aesthetics Fine Art Gallery, Tacoma, Washington, 1996, 1995. Pierce College, Steilacoom, Washington, 1991, 1982. Treasure Valley Community College, Ontario, Oregon, 1988. Green River Community College, Auburn, Washington, 1988. University of New Mexico, Albuquerque, New Mexico, 1983. House of Ceramics Gallery, Vancouver, British Columbia, Canada 1977. Pacific Lutheran University, Tacoma, Washington, 1977. Vincennes University, Vincennes Indiana, 1975. Indiana State University at Evansville, Indiana, 1975. Turman Gallery, Indiana State University at Terre Haute, 1975. University of Montana, Missoula, Montana, 1973. Yellowstone Art Gallery, Billings, Montana, 1972. Jade Gallery, Richland, Washington, 1972. University Center Gallery, University of Montana, 1972. Humboldt State University, Arcata, California, 1969. Thirteenth San Angelo National Ceramic Competition, San Angelo, Texas, national juried show, 2000. La Grange National XXI, La Grange, Georgia, national juried show, 2000. Turn of the Century, Pacific Lutheran University, Tacoma, Washington, Invitational, 2000. 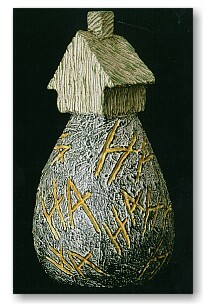 Materials: Hard and Soft, National Contemporary Craft Competition and Exhibition, Greater Denton Arts Council, Denton, Texas, 2000. The End, Tacoma Art Museum, Tacoma, Washington 1999, Juried Show. From The Ground Up: Selections From The San Angelo Museum of Fine Arts, Austin Museum of Art, Austin, Texas, 1997. Oregon Clay/97 National, Renshaw Gallery, Linfield College, McMinnville, Oregon, 1997, National Juried Show. Double Take, Maude Kerns Art Center, three person show, Eugene, Oregon, January, 1997. Feats of Clay VIII, Lincoln Arts/Gladding, McBean & Co., Lincoln, California, National Juried Show, 1995. Tenth Annual San Angelo National Ceramic Competition, San Angelo Museum of Fine Arts, San Angelo, Texas, 1995. Face To Face, Traveling Exhibition, Tempe Arts Center and the Arizona Commission on the Arts, two year tour, 1994-1996, National Juried Show. LaGrange National Biennial XVIII, Lamar Dodd Art Center, LaGrange, Georgia, 1994, National Juried Show. Ceramics Now 1994, Downey Museum of Art, Downey, California, National Juried Show. Eighth Annual San Angelo National Ceramic Competition, San Angelo Museum of Fine Arts, San Angelo, Texas, 1993. New Ceramics, Creative Arts Workshop, New Haven, Connecticut, National Juried Show, 1993. Face The Nation, A National Juried Mask Competition, University of California, Davis, California, Davis Design Gallery, 1993. Reverent/Irreverent, Sarratt Gallery, Vanderbilt University, Nashville, Tennessee, National All Media Juried Show, 1993. 15th Annual Vahki Exhibition, Galeria Mesa, Mesa Arts Center, Mesa, Arizona, National Juried Crafts Show, 1992. Animal, Vegetable, Mineral, Tempe Arts Center, Tempe, Arizona, National Juried Show, 1992. Tullibody Fine Arts Center Galleries, Alabama State University, Montgomery, Alabama, four person show, National Juried Show, 1992. Clay U.S.A., Flossie Martin Gallery, Radford University, Radford, Virginia, National Juried Show, 1991. The Wichita National '91, The Wichita Center for the Arts, Wichita, Kansas, National Juried Show, 1991. 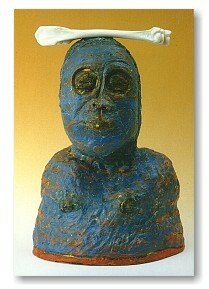 The Mask: 1991, An International Exhibition, Farrington-Keith Creative Arts Center, Dexter, Michigan, International Juried Show, 1991. Dimensions '91, National Juried 3-Dimensional Art Show, Lenexa, Kansas, 1991. Ceramics Now/1991, Downey Museum of Art, Downey, California, National Juried Show, 1991. Water/Life, Luckenbach Mill Gallery, Bethlehem, Pennsylvania, National All Media Juried Show,1991. Aesthetics '91 McPherson College, McPherson, Kansas, National All Media Juried Show, 1991. Just Fired: New Ceramic Work, Tempe Arts Center, Tempe, Arizona, National Juried Show, 1991. Rituals and Primitive Origins, Sarratt Gallery, Vanderbilt University, Nashville, Tennessee, National All Media Juried Show, 1991. Since 1968, McCuistion has exhibited in over 170 group and individual shows. A complete listing is provided on request. Permanent Collection, Tacoma Art Museum, Tacoma, Washington, 1999. Permanent Collection, University of Indianapolis, Indianapolis, Indiana, 1999. Permanent Collection, Lamar Dodd Art Center, LaGrange, Georgia, 1996, 1991. Permanent Collection of the Art Gallery of Greater Victoria, Victoria, B.C., Canada, 1991. Permanent Collection, San Angelo Museum of Fine Arts, San Angelo, Texas, 1988. Art Collection, Arizona State University, 1988. Fred and Mary Marer Collection, Claremont, California, 1974. Work published November 1996, The Best of Pottery, Quarry Books, Rockport Publishers, Inc., Juried. Visual Artists Fellowship Archive Project, 1996, a permanent archive documenting the Visual Artist Fellowship Program; accessible both at the NMAA in Washington, DC and electronically, through internet sites maintained by the NMAA and NEA. The Smithsonian Institutions National Museum of American Art (NMAA) will house the archive. Article published, Ceramics Monthly, September, 1986. Work featured on cover of Arts Line Magazine, March, 1986. Guest Speaker, Tacoma Art Museum, The End Exhibit, Tacoma, Washington, 1999. Guest Speaker, Demonstration in Ceramics, Indiana University Southeast, New Albany, Indiana, 1999. Guest Speaker, How to Take Your Own Slides, Washington Potters Association, Moshier Art Center, Burien, Washington, 1998. Guest Speaker, Demonstration in Ceramics, Tacoma Community College, Tacoma, Washington, January, 1998. Guest Speaker, Photographing Artwork, Tacoma Community College, Tacoma, Washington, 1997. Guest Speaker, Linking Artists Globally, World Trade Center, Tacoma, Washington, presented by the Tacoma Arts Commission, 1994. Guest Speaker, Professional Skills Workshop, Photographing Your Artwork, presented by the Tacoma Arts Commission, 1994. Board Member, Artist Trust, Seattle, Washington, 1988-90. Guest Speaker, Demonstration in Ceramics, Treasure Valley Community College, Ontario, Oregon, 1988. Guest Speaker, Demonstration in Ceramics, Green River Community College, 1988. Guest Speaker, Demonstration in Ceramics, Pacific Lutheran University, Tacoma, Washington, 1988, 1986, 1985, 1982, 1978, 1977. Guest Speaker, Tacoma Community College, Tacoma, Washington, 1984. Guest Speaker, Evergreen State College, Olympia, Washington, 1984. Guest Speaker, Albuquerque University, Albuquerque, New Mexico, 1983. Guest Speaker, Pierce College, Steilacoom, Washington, 1982, 1984, 1991. Guest Speaker, Demonstration in Ceramics, Santa Ana College, Santa Ana, California, 1976. Guest Speaker, Demonstration in Ceramics, DePauw University Greencastle, Indiana, 1975. Guest Speaker, Demonstration in Ceramics, New Harmony Ceramic Workshop, sponsored by the University of Evansville and Robert L. Blaffer Trust, New Harmony, Indiana, 1975. Participant, Southern Indiana Consortium of the Arts, Indiana State University at Terre Haute, 1975. Guest Speaker, Demonstration in Ceramics, Lewiston, Idaho, 1975. Guest Speaker, Demonstration in Ceramics, Florida Atlantic University, Boca Raton, Florida, 1975. Participant, Sheridan's Studio Symposium, Sheridan College of Design, Mississauga, Ontario, 1974.